There are few things more important than protecting your property, and whether you want to secure a residential area or commercial building, Leading Edge Security and Home Technology is here to help. When it comes to video surveillance systems, one of the biggest mistakes that people make is purchasing cheap knockoff brand cameras. Not only do these systems tend to break regularly, but there is no one to call to get them up and running again when they do. That’s why we deal directly with manufacturers to bring our customers only the highest quality of camera systems. 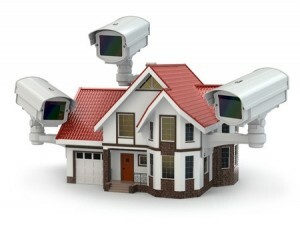 We understand that everybody has different security needs, which is why we offer a wide range of cameras to choose from. Not only do we offer cameras for both indoor and outdoor areas, but many of our models feature IR night vision. Regardless of the time of day, these cameras will be able to keep track of everything going on in their line of sight, ensuring you won’t have to worry about an intruder trying to use the cover of night to go unnoticed. The cameras we offer are more than just your standard devices. They can be connected remotely to a variety of smartphones, tablets and computer apps. These apps and remote video services will give you full control over your cameras, and make reviewing past footage and even live feeds as simple as possible. By taking advantage of the latest technological innovations in the field, the camera systems we offer provide you with a level of security that you never knew was possible. We also offer weatherproof camera domes, video recording devices and other camera equipment to work in a wide variety of situations and environments. Take a look through our online inventory now, or give us a call today at 812-325-6286 to discuss your needs with one of our experts.